Providing you the best range of beasan atta packing machine, flour bag packing machine, flour bag filling system, wheat flour packing machine, wheat flour bag filling machine and flour bag filling machine with effective & timely delivery. We are leading manufacturer of Beasan Atta Packing machine these machine are aslo know as Flour Filling Machine, Flour Packing Machine and Bag Filling Machine. Packaging machines are machines that complete stages of the packaging process. Examples include filling machines, sealing machines, labelling machines and coding machines. 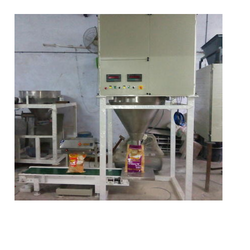 Our firm is offering a wide range of Flour Bag Packing Machine, which is manufactured with ultra-grade components. We have developed an advanced manufacturing facility in order to design this product as per the exact specifications given by our clients. The semi-automated system below is an example of a complete line built with our flour bagging and packaging machines. 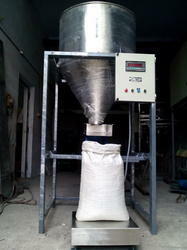 This line is equipped with a bagging scale, a single-spout (inside double weight hopper) high-speed open-mouth bagger. no matter the scope of your project, sigma automation manufactures flour packaging machines for small- and large-scale production. We provide best packaging solutions for all types of atta such as Wheat Flour Packing Machine, maida, besan, corn rice flour, etc. the packaging is done depending upon the type of products and required speed accuracy, using the particular filing system. our packaging machines deliver complete sealing solutions with speed and perfection. the packaging ensures quality and safety of a product. further, helps to maintain the hygiene of these food products. we offer customised solutions for packaging after understanding and analyzing our customers' needs. our atta packaging machines are technologically superior; these are very easy to use and work very efficiently. these machines have low maintenance cost and give the desired result. We manufacturing best packaging solutions for all types of Atta Packing Machine such as Wheat, Maida, Besan, Corn Rice flour, etc. The packaging is done depending upon the type of products and required speed accuracy, using particular bag filling system. 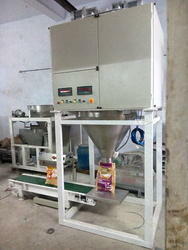 We are manufacturer of Flour Bag Filling Machine as per customer require. Filling assembly (Gravity Feeder for coarse, medium and fine feeding) with single flap valves mounted on structure. 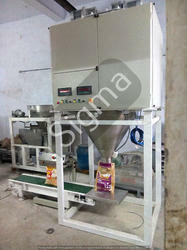 Sigma Semi Automatic Packing Machine with single spout for weighing and filling in standard open mouth bags.